In case you missed the first post, The Scoop on Homemade Laundry Detergent & Stain Remover, this is my follow up to that. My, What-Work-For-Me-Recipe. Now, don’t disregard the post I just linked you to because there’s a lot of good information in there…The Recipes I started out with, how they ended up and the breakdown of ingredients. Basically, my issues with the regular recipes that are floating around out there was this…the Dry didn’t dissolve in the Washer unless I used warm to Hot Water. Even then, sometimes it still didn’t dissolve. The Liquid was good for normal clothes as long as I dissolved the Borax on the stove with the soap. The Cleaning was okay, but my whites did seem to go dingy after awhile or clothes not as clean as they should be or I need them. I live with a rough crowd, here, lol. If you don’t understand what I’m talking about, again, just click the link above for the full story. Now, all that bein’ said, I came up with this Recipe that I have used to months and months and months and I absolutely have no problems with it at all. This is a Liquid soap, too and if you do it the way I explain, there is no letting it sit for 24 hours before use. The tap Water in my house is super hot and dissolves anything. So, I didn’t have to heat up water or dissolve the Borax in any way. IF YOU DO, just add the Borax to about 4 or 5 cups of water and heat till it dissolves. Fill a 5 gallon bucket half way with hot tap water, gently pour the rest of the ingredients. After adding the dissolved Borax, fill the remaining bucket up with water. Use 1/3-1/2 cup or as needed. I use a whole cup because my husband is a MASON and we are always getting dirty workin’ outside with the farm animals. 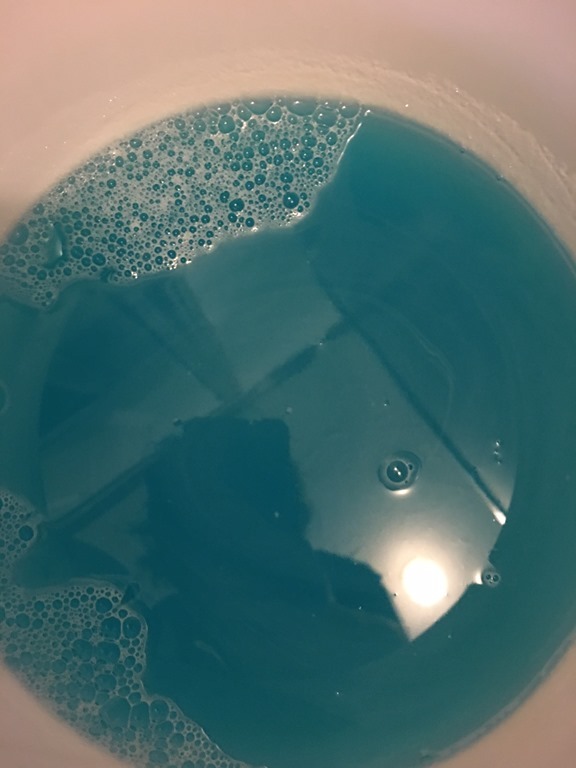 If you’re kids play sports or you need a recipe for homemade OXY for STAIN removal, please see the link above: The Scoop on Homemade Laundry Detergent & Stain Remover. I will forever stand by that recipe, at the bottom of the post. Just make it as you need it and don’t add it to this recipe because the Hydrogen Peroxide looses it’s power after a few hours of just sitting. Make it fresh and as you go. It’s not that hard to do so it won’t take you forever. Now, why did I go with this recipe? I use Blue Dawn for everything. In fact, sometimes I add more than the bottle above to my Detergent. Ill buy the great big bottle and use half. But again, that’s because I don’t like my clothes dingy and my husband is a Mason, etc., My recipe adds bubbles, too, or Suds and I LIKE SUDS. I swear I miss the old Washers that used a ton of water. I hate these new HE things. And all the Detergents out there, even name brands, would do so much better with more SUDS. If you are against SUDS, play with the amount you use in each WASH or cut back on the DAWN. I add the 2 cups of Borax above, too, because I don’t want my whites dingy. And I don’t add any kind of scent to my detergent because all those softeners weaken the cleaning power—in my opinion. I add my Softener to the Wash, to each Wash, in the softener compartment. I can use this detergent with Cold Water, Warm or Hot. I don’t have a problem with it dissolving. BUT BUT BUT!!!! Let it be known that the He Washers struggle with anything thats not storebought. SOMETIMES. I know people who make their own and have no issues. Me, the recipe began to trip sensors which then messed up the washers. 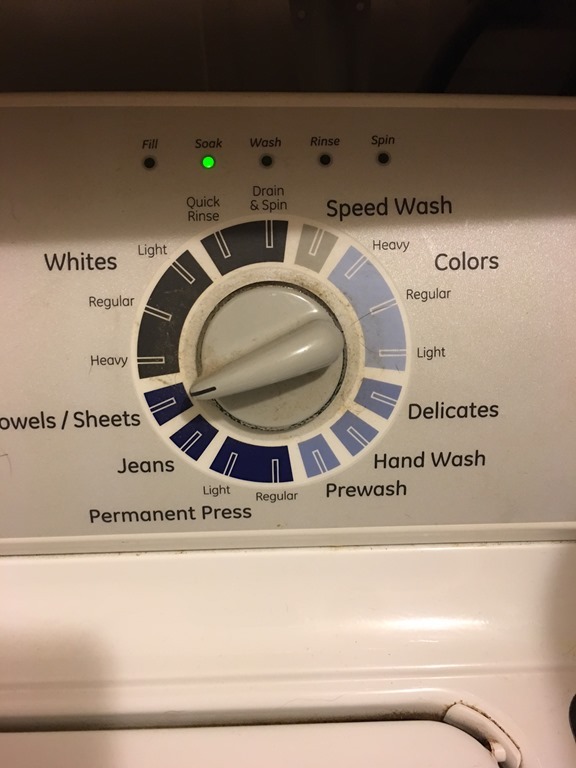 I went through 3 Washers in 2017 till now (1/23/18) before a repair man told me what the problem was. He was rather bummed to because his wife likes making her own as well. So be on the lookout for that. Hopefully you will have no problems.